Excluding the divers that's 8 swimmers so far into the NCAAs. Hoping the Stanford meet we will be able to squeeze more into qualifying before the Pac-12 meet. Looks like Ali Harrison is on the cusp in both breast event though not sure she would even swim the relay events if she made the NCAAs. Also hoping Robin & Chenova gets through for the depth in the 800 relay. They both seem close to qualifying and with the added incentive of swimming against Ledecky this might push them through. Doubtful someone will earn an invite this Friday, as everyone will likely be swimming tired, unrested, unshaved and in a practice suit - would dearly love to be proven wrong tho lol. Yes, Friday's meet will involve an intense rivalry with much school pride at stake hehe - but ultimately relatively meaningless in the bigger picture. Those on the cusp of qualification will be saving their best efforts for the conference championships beginning 21 Feb.
Our Bears will just give their best during the dual v. the furdettes, whilst in the middle of heavy training, fighting hard to get their hands to the wall first and slugging it out all the way to the end of the meet, trying to garner some valuable points for their teammates. So, 8 Bears projected to safely make it into NCs - Thleen, Abbey, Billy, Katie, Nono, Madds, Sarah, Keeks. Would reckon that Ali, Chenoa, Robin, Val have really good chances of boarding the bus or rather plane to Columbus on 14 March as they are currently pretty close, which would bring our swimmer tally up to 13, equalling last season's. Add Phoebe & Briana on the diving side, and that would be quite a decent squad. Maija Roses discovered her passion for storytelling through video and photography as a student at Cal. One more big change is on the horizon when Roses leaves Cal later this spring with her degree in hand. While she is still figuring out which road to take, she knows that she made the right choice four years ago when she decided to take her cross-country excursion to Berkeley. "I got everything I need out of Cal," Roses said. "I found a passion that drives me nearly every single day. I've learned a lot about myself personally in ways I may not have done it anywhere else. I feel like Berkeley is such an open place that really allows you to find out who you really are without any boundaries. Honestly, I'm so thankful I came here for that." "Two of the top swimming & diving programs in the country face off against each other Saturday when fourth-ranked Cal visits No. 1 Stanford in the final dual meet of the year for both squads. Action at the Avery Aquatic Center gets underway at noon. 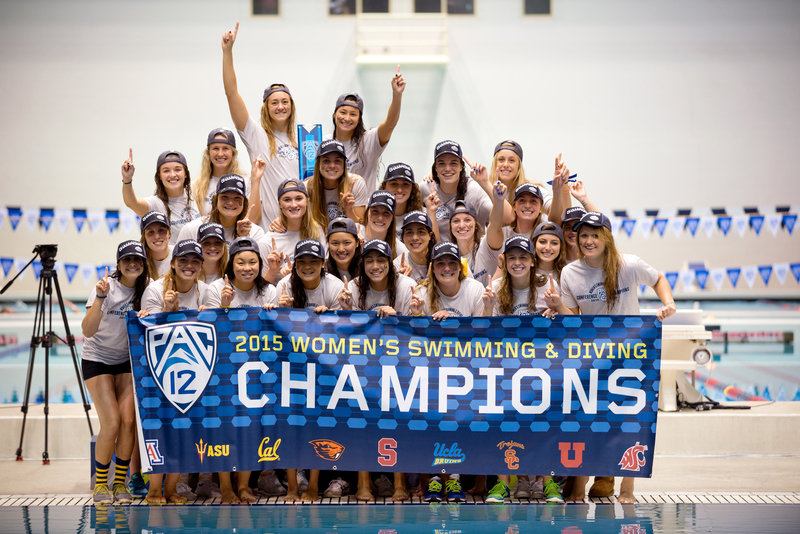 To add some perspective to the series, Cal and Stanford have combined to win eight of the past nine Pac-12 team titles (4 each), while last year, either a Golden Bear or a Cardinal finished first every swimming event at the NCAA Championships except for the two breaststroke races (6 by Cal, 10 by Stanford)." Note: Cal's dual meet record v. LSJU is at 2-4 in the 6 seasons that the furdettes have been under Greg's leadership, after he had left our men's team (2008-2012). Bears have yet to taste victory over the trees @ Avery during Meehan's tenure. The Furd's dual record against all the other schools OTOH is an impressive 42-2 in the same period! The furdette juggernaut's massive SCORING DEPTH relative to the rest of Division I (and I'm not talking about just their top end superstars here), bolstered by season after season of claiming the nation's #1 recruiting class, makes them a really tough nut to crack at the dual, conference & national level. Saturday also marks Senior Day for eight Cardinal. Prior to the meet, we will celebrate the contributions of those seniorsKassidy Cook, Sammy Gallagher, Gracia Leydon Mahoney, Alex Meyers, Simone Manuel, Janet Hu, Ally Howe and Lindsey Engel. Heck I could be completely mis-reading the above quoted blurb, but could "celebrating the contributions of seniors", with mention of Simone specifically in this context, possibly/hopefully imply that 2018 NCAAs will be Manuel's swan song in collegiate competition?! If that's indeed the correct interpretation, guess we should also be wildly celebrating & cheerfully feting Simone here as well, as she transitions to pro status to prepare for Tokyo 2020!!! ~winks~! Simone graduating makes sense, because there is no way they could have taken on all the newcomers without several big names graduating. Simone redshirted the Olympic year, so I'm sure she is on course to finish this year. Simone is definitely going through Senior ceremonies. The other big name to graduate is diver Cassidy Cook. The other two big losses are Hu and Howe. Cheers for the visual confirmation, tedbear! I salute your courage in venturing into enemy territory to cheer on our Bears, m8! So close in the 200 medley. Simone brings in Maddie for the furd win. I think Amy anchors at NCAAs. Abbey finally gives us a win! Abbey Weitzeil set a Stanford pool record and Cal dual-meet record in winning the 50 free in 22.04. STANFORD Abbey Weitzeil won the 50-yard freestyle and helped Cal's 200 free relay to a closing victory, but the No. 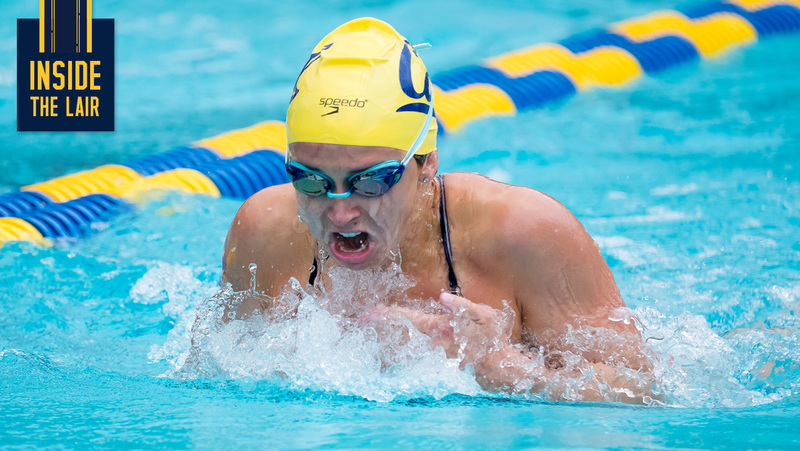 4 Golden Bears fell to top-rated Stanford, 186-110, in the teams' annual dual meet Saturday. Weitzeil, a sophomore who owns the American record in the 50 free, touched out Stanford's Simone Manuel, 22.04 to 22.13, to claim the event. 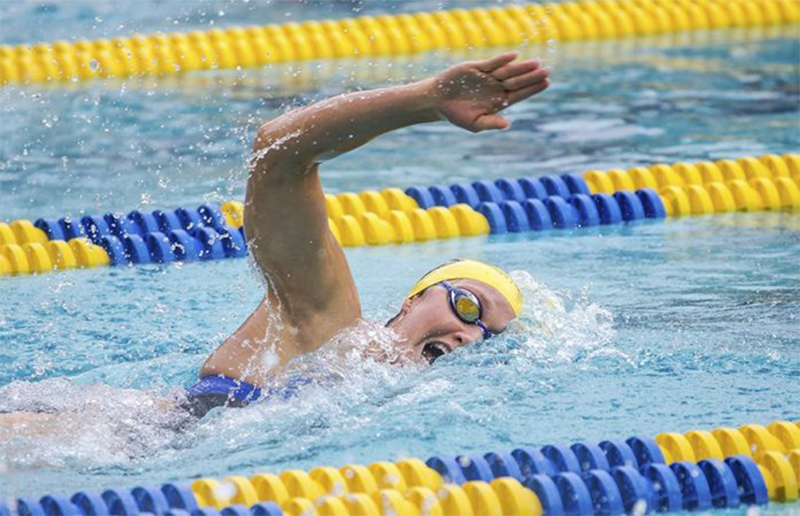 Her time established both an Avery Aquatic Center record and a Cal dual-meet record, breaking her mark of 22.09 set against the Cardinal in Berkeley last year. 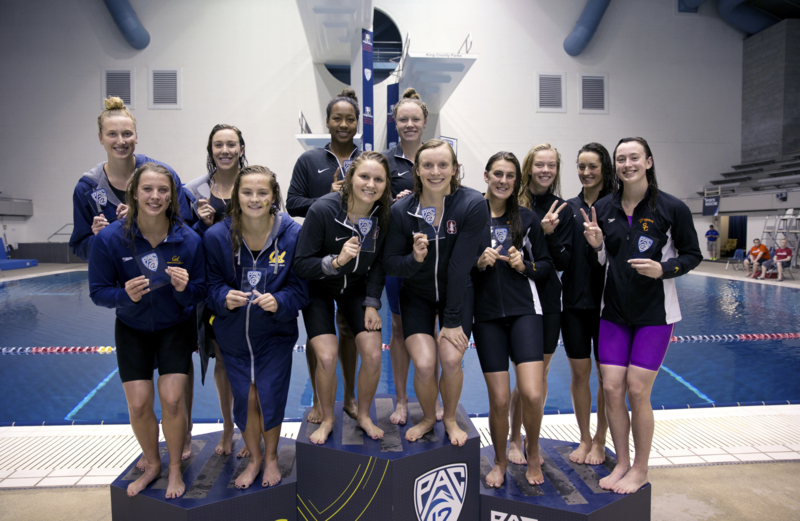 In the 200 free relay, the foursome of Maddie Murphy, Weitzeil, Katie McLaughlin and Amy Bilquist crushed the Cal dual record in the event, finishing in 1:28.36, which was also a Stanford pool record. The former Cal dual mark was 1:31.49 set back in 2009. "I think there are some really good things to build on," head coach Teri McKeever said. "The first thing is you have to acknowledge is where Stanford is as a program, a team that is top to bottom so deep. I thought some of our swimmers did a nice job of responding to that. Our growth as a team is to use that in a way that lifts us. We've had moments today and I think we can do it. The relays are definitely moments where we rise to the occasion. We're going to need to be better at the end of the month going into Pac-12s. Overall, I thought we had a solid effort." In total, the meet featured five pool records with Stanford picking up the other three. A number of Golden Bear swimmers posted their fastest times in dual meets this season, including McLaughlin with a 1:45.69 in the 200 free and Kathleen Baker's 52.68 in the 100 back. 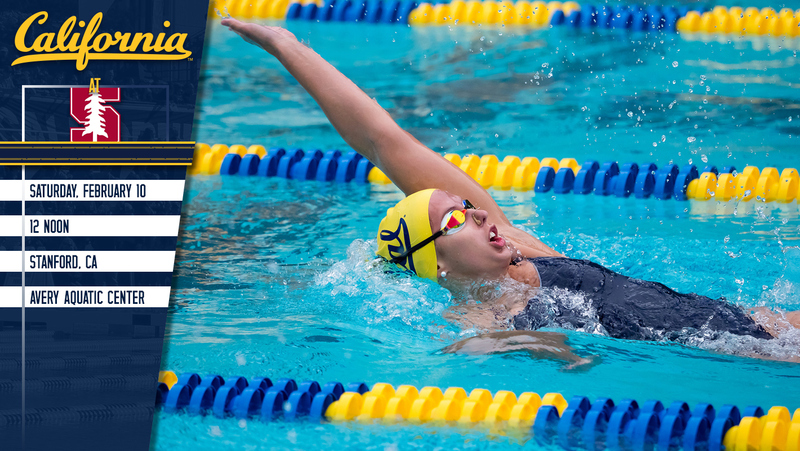 Cal wraps up its dual-meet season with a 9-1 overall record and 6-1 in the Pac-12. 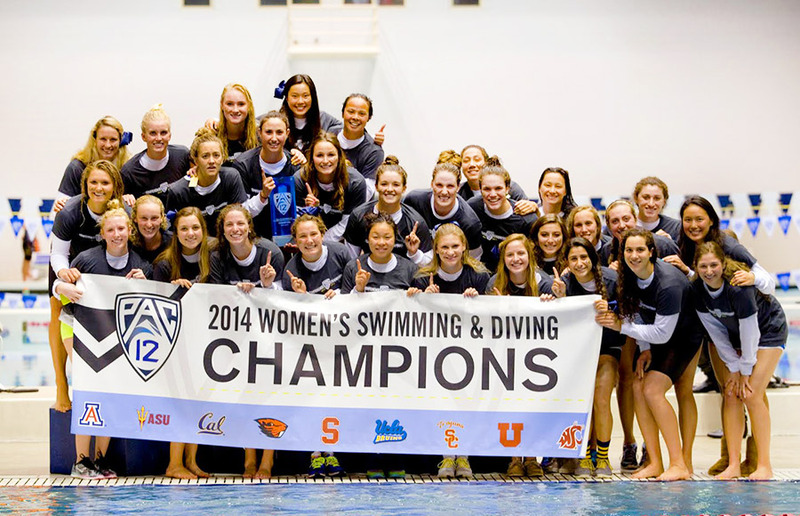 Next up are the Pac-12 Championships Feb. 21-24 and the NCAA Championships March 14.17. The Stanford Cardinal capped off an undefeated dual meet season on Saturday as they defeated Pac-12 rival Cal at home. Several Pool Records fell throughout the meet. Stanford got the ball rolling with a Pool Record in the 200 medley relay, with Simone Manuel anchoring in a blazing 21.45 to make up a half-second deficit and clock the Cardinal in at 1:37.18. The Bears also picked up a relay Pool Record, with Abbey Weitzeil throwing down a 21.29 split to help the 200 free relay to a 1:28.36 win. Individually, Ally Howe and Janet Hu each snagged Pool Records for Stanford. Hu took down her own record in the 100 back, touching in 51.63 ahead of American Record holder Howe (51.92) and Cal's reigning NCAA champ Kathleen Baker (52.68). Howe, on the other hand, took down the 200 back Pool Record, winning by over a second in 1:53.67. Cal's Weitzeil nabbed an individual Pool Record as well, giving the Bears a win in the 50 free as she out-touched Manuel 22.04 to 22.13. Kathleen Baker's times look way off. Anyone know if she's healthy? Question: Which women's conference meet are you most excited for? Almost half of voters said they were most excited for the women's Pac-12 Championships compared to the other four major conference meets to take place this month. That speaks in some ways to the priority swim fans put on historic swims as opposed to tight team battles. Although the Pac-12 could be a close team race between national #1 Stanford and #2 Cal, the meet is probably more exciting for the individual times that could show up, especially given neither team tends to put a big priority on winning the conference meet compared to NCAAs. Last year's Pac-12 meet saw Katie Ledecky make a historic foray into IM, smashing the American 400 IM record, though she went back to freestyle for NCAAs. We could see a similar move this year. The Pac-12 meet will also feature Olympic and world icons Simone Manuel and Kathleen Baker among many others. That's always a concern as Crohn's a massively debilitating condition. It's really quite a wonder how much Thleen has achieved in and out of the pool in spite of her serious health issues. Actually if you eyeball Kathleen's *50 & 100 Back* times at all the duals v. LSJU that she has raced as a Bear, Thleen Bean has actually done her quickest times @ yesterday's meet in those events! Don't forget that Lil Bean historically responds rather well to taper. More importantly, Baker has that killer instinct where she tends to rise to the occasion, as the world witnessed @ Rio & Budapest these past few years, as well as @ 2016 OTs. Also laid down some commanding times @ the USA College Challenge last October, whilst in a race suit but without the benefits of a taper or a shave. Granted, Thleen's *200 Back* times down @ Avery on Sat were rather off her usual performance level, plus didn't race the 200 IM or a 3rd individual. She looked to be swimming v. tired in the 200, noticeably fading in the back half of the race. Her characteristic early speed was still in evidence, just lacking the stamina perhaps. Baker had also skipped the mid-season invite + some duals this season, so these concerns are quite in order. However, I personally feel quite good about Thleen's chances of claiming some National Titles for Cal in the face of the seemingly unstoppable Furdette Juggernaut come March! Also noticed that Ally Howe seems to drop more time than Janet Hu between each season's final last dual and the National Championships the following month, particularly during last season where Ally had a huge improvement curve (although Howe couldn't repeat her 49.69 American Record performance in the 100 Back from Pac-12s that year, eclipsing Natalie's 49.97 - which Thleen has also now surpassed). Baker anchored this relay in the B final! Thanks for compiling the data. Helpful to see the track record. Dannie and Sophie looking strong might be able to sneak into top 8 at pac 12? Dannie's PB is less than half a sec from the cutoff time for the A final of the *400 IM* @ 2017 Pac-12s. The *100 Breast* would be a more challenging goal, as Dilsaver would prob. need to drop more than a sec off her lifetime best in this event. What's really encouraging here is that Dannie's personal bests in both of these events were done recently (2017 UGA Invite), so she has already made some nice strides in the first half of her freshie year! Sophie also has a shot at Top 8 in her pair of *back* events in just over a week's time, more likely in the 100 than the 200. Naturally the optimist in me would like to cheer them onto even loftier aspirations - that of making the 2018 NCAA invite cut in their frosh year hehe. what would happen in a dual meet of the Stanford women vs every other team in the NCAA combined into one team. The answer is: Stanford would lose. The surprising part, is that they wouldn't get crushed. I scored out a dual meet using collegiate best times, swimming only, no relays, 3 individual events per swimmer (2 swimmers had to have events cut because they had 4 times fast enough to be in this super meet, Katie Ledecky, and Louise Hansson of USC). The score came to Not Stanford 134.5 Stanford 112.5. Stanford has an astonishing 8 swimmers that score more than the default minimum points. That is, there are no more than 2 Not Stanford swimmers with times better than their best time. Simone Manuel, Katie Ledecky, Ella Eastin, Janet Hu, Katie Drabot, Ally Howe, Brooke Forde, and Allie Szekely all pull this off in at least one event. The final CSCAA polls were released Wednesday, and on the women's side the Stanford Cardinal retained their top spot with a total of 300 points. The rankings are voted on by CSCAA-member coaches and aims to measure the top teams in head-to-head competition. Leading the pre-season polls and holding the top spot through November, the Cardinal lost their top spot to Texas A&M in the polls released on December 6th and January 17th before returning to the leading position on January 31st. The Cardinal have gone a perfect 8-0 in dual meets this season, including wins over Arizona, ASU, UCLA, USC and California in January. Cal, who sat as low as 7th in the polls at one point this year, ends in the #2 slot with a final dual meet record of 9-1. Like Stanford they defeated Arizona, ASU, UCLA and USC in January, only falling short to the Cardinal by a score of 186-110. Abbey Weitzeil earned Pac-12 Swimmer of the Week honors for her performance at Stanford last weekend. BERKELEY After setting a pair of Cal dual-meet records in the Golden Bears' meet at Stanford last weekend, sophomore Abbey Weitzeil has been named the Pac-12 Swimmer of the Week. 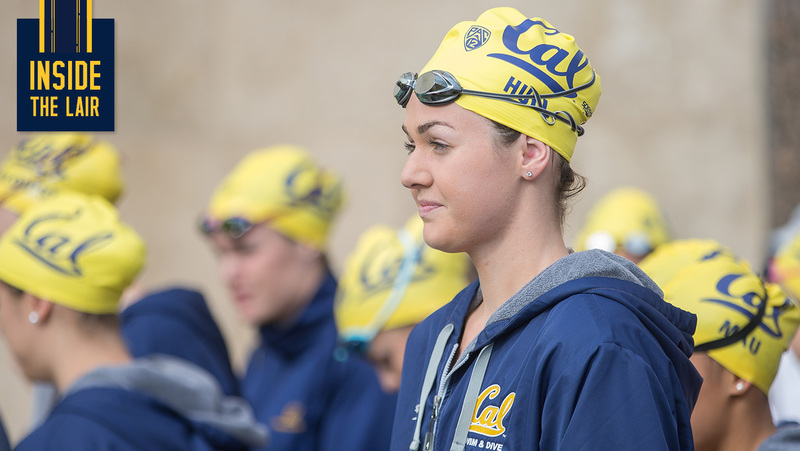 Against the Cardinal, Weitzeil won the 50-yard freestyle in 22.04, breaking her own Cal dual-meet mark and setting an Avery Aquatic Center record as she out-touched Stanford's Simone Manuel, who was second in 22.13. 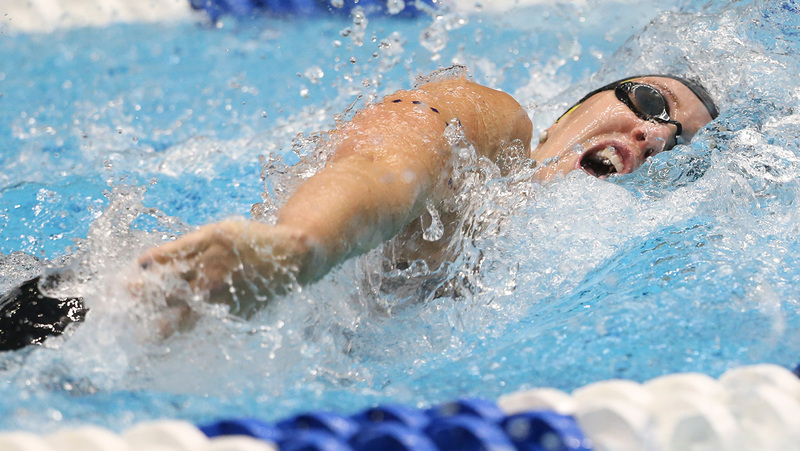 In addition, Weitzeil swam a leg on Cal's winning 200 free relay that finished in 1:28.36. The time established a new Stanford pool record and crushed the Bears' previous dual-meet mark of 1:31.49 from the 2009 season. Weitzeil also competed in two other races, placing second in the 100 free in 48.78 and handling the breaststroke leg on the Cal's runner-up 200 medley relay that was timed in 1:37.40. Weitzeil was named Pac-12 Swimmer of the Month for December after she established an NCAA-leading 21.44 in the 50 free and swam the 100 free in 46.95, which ranks No. 2 in school history and currently sits as the second fastest in the country. Cal completed its dual-meet season with a 9-1 record last week and next travels to Federal Way, Wash., for the Pac-12 Championships Feb. 21-24. Not sure how closely anybody else has been keeping up with ACC, Big 10, SEC results this week but seeing such fast swims (Liz Li's 50, Erika Brown's sub-50 second 100 fly) scares me a little about the chances of our Bears repeating the tiles in a month or so. Thoughts from anyone else? Perhaps just need to keep my fingers crossed and faith in the team! 2018 Conference Championships have been incredibly swift this early...don't think we can take anything for granted come March! 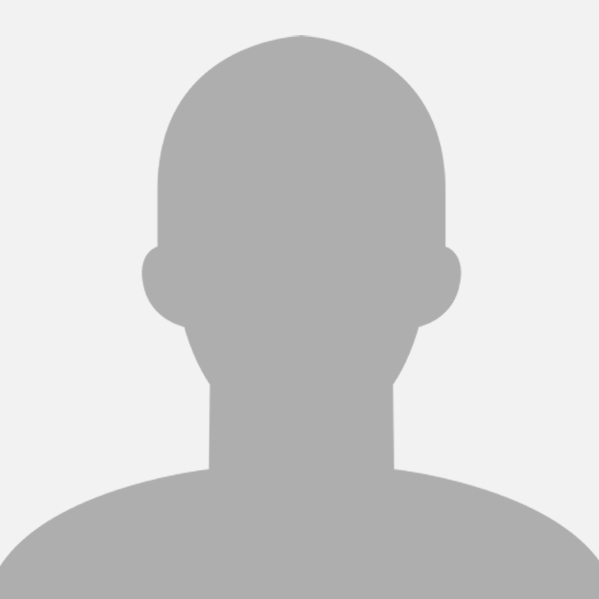 Not only the aforementioned names (have always championed Erika during her recruiting period, felt that there was a considerable upside to the SwimMac/ex-Pleasanton Seahawks prospect! ), but all around - take note of Beata Nelson (another fave recruit of ours, great underwaters with tons of SCY potential even back then) laying down a badarse 49.78 in morning prelims - which happens to be the 2nd fastest 100 y Back ever, surpassing Thleen's 49.80 PB & 49.84 that had won the 2017 NCAA title! Maddie-double Cal legacy (dad played on two NCAA polo champs), local (Orinda), same high school as Natalie, swam for Natalie's husband's club. Erika Brown-orignally swam for Pleasanton Seahawks (Celina/Silverthorn), close friend/club teammate with Thleen. Teri would have gotten results with any of the three. Marsh was the highest ranked recruit of the three, but Maddie was in state. CALIFORNIA: No. 2 California has finished among the top three at the NCAA Championships nine years in a row - the longest current streak in the country. Junior Kathleen Baker earned three medals for the United States at the World Championships over the summer: a silver medal in the 100-meter backstroke (matching her result in the event from the 2016 Olympics), a bronze medal in the 200-meter back and a gold medal on the world-record-setting 400-meter medley relay. 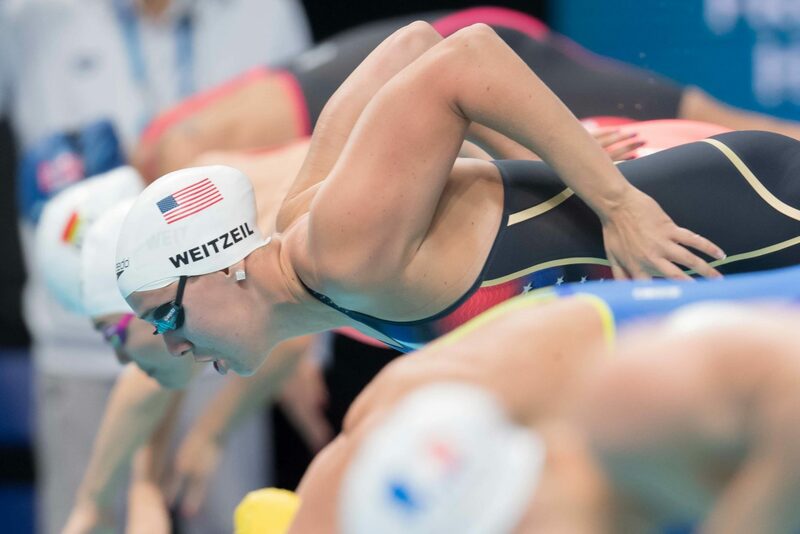 She also placed fifth in the 50-meter back after setting an American record during her semifinal swim. Junior Katie McLaughlin competed in six events for the United States at the 2017 World University Games in Taipei last summer, picking up medals as part of three relays: 800-meter free relay (silver), 400-meter free relay prelims (bronze) and 400-meter medley relay prelims (silver). "Val is really clear about what type of person we want in our program and what type of person will be successful at Cal," McKeever said. "I think she's good at reading people and then helping me with information is this person a good fit or if they're not, why not? It's not superficial; it's more insightful perspective." What makes a good teammate, according to Hull, is more than fast times. Culture fit, potential, leadership and willingness to be a team player are among the many elements to consider. Are you the right personality type? Can you have the tough conversations? Can you lead in a certain way? We do that with swimmers, too. Teri's always said we recruit the person, not the swimmer." We always talk about Cal fit, but I think these quotes exemplify what Teri is really looking for. We are not always going to get the swimmers with the fastest times, but we are likely to get successful women who are great representatives of the University in and out of the pool. That's why I love supporting this team! With just a week of qualifying remaining for the Women's NCAA Division I Swimming and Diving Championships, rows are rapidly being filled. Utilizing results submitted to CollegeSwimming or SwimCloud through February 20th, we have analyzed each swimmer's place in selection. Understand that these estimates are less official than the unofficial Psyche Sheet, but if selection were conducted TODAY we predict the following swimmers would qualify individually. The boxes indicate our confidence level of a swimmer's qualification. Red means we expect the swimmer to be knocked out in the coming week. Yellow boxes indicate a stronger level of confidence, and green? If we were the parent of a green swimmer, we'd feel comfortable booking flights to Columbus. When she was getting her start in coaching, Teri McKeever looked to some of swimming's best as mentors. But her most influential role model and inspiration, man or woman was her mother, Judy. A swimmer herself and McKeever's club coach and a school teacher, she supported the family when her husband passed away when Teri was just 6. "I saw my mom step up in very unfortunate circumstances and keep our family three young kids together," McKeever said. "She shaped much of who I am, and I have always looked up to her." Like her mom, McKeever's original career path involved becoming a teacher, but swimming came first. A two-time All-American at the University of Southern California, she made the final eight in the 200 butterfly at the 1980 U.S. Olympic Trials but didn't make the team the same team that didn't compete in Moscow due to a U.S. boycott. She went on to have three great seasons at USC, including being named the school's Outstanding Student Athlete. But when she graduated in 1983, she was done competing and was eager to start the next phase of her life. An education major, McKeever envisioned teaching junior high or high school math or science and coaching on the side never thinking of taking on that role as a full-time career. Now, 30-plus years later, she's not only one of the most successful swimming coaches in the game having directed the University of California-Berkeley to four NCAA women's titles and nine consecutive top 3 finishes at NCAAs but she also broke down barriers by serving as the first woman to head coach a U.S. Olympic Swimming team in London in 2012. "I was confident then and I still am that I was the right coach for the job and not just the right woman for the job," McKeever said. "It's was a great honor, and I hoped then that it would never be a story again because more women would be selected for honors like this. It hasn't happened yet, but I'm hopeful that it will." For McKeever, who definitely sees a strong connection between coaching and teaching, the path her career has taken is right on course with the progression her life was meant to follow. Not only has she experienced the highest levels of coaching success at the collegiate level mentoring and coaching NCAA, U.S. National, World and Olympic champions Natalie Coughlin, Dana Vollmer, Jessica Hardy and Missy Franklin, among many others but she has also reached the highest levels of coaching internationally. In addition to directing the U.S. women to 14 medals 8 of them gold in London, she was also the first woman to coach as an assistant on the U.S. Olympic Swim team in 2004 and 2008. In between those meets, she served as the first woman to be named head coach of the U.S. National team at a major international meet the 2006 Pan Pacific Championships in British Columbia. She also served as the head coach of the U.S. squad at the 2012 Short Course World Championships, and as an assistant for the United States six times at the World Championships as well as the 2001 Goodwill Games and 2002 Pan Pacific Championship teams. 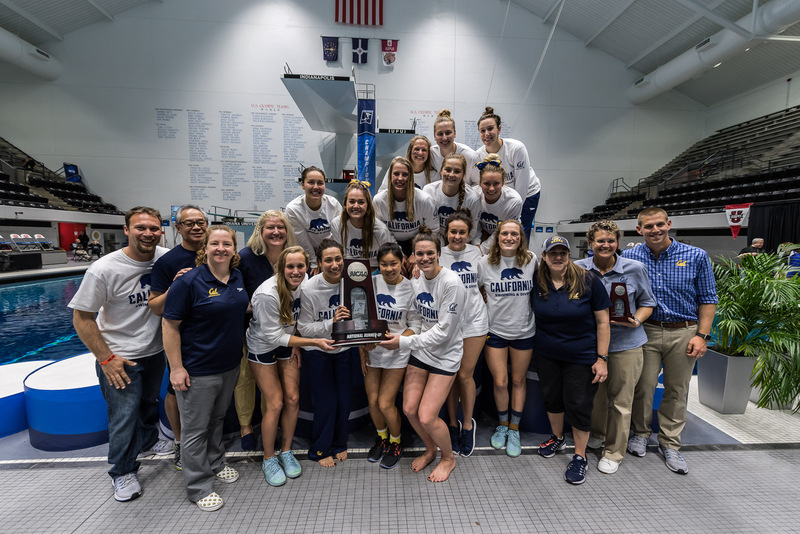 "I didn't set out to make coaching a career, but I am still a teacher who gets to work in an amazing classroom and teach swim and life lessons," said McKeever, who took over the Bears program in 1991. With few female coaches to look to as examples and role models in her early years, McKeever said she identified Karen Moe Humphreys her predecessor at Cal who took over the Bears program in 1978 after a stellar swimming career highlighted by a gold medal in the 200 butterfly at the 1972 Olympics as one of her mentors. "She did an amazing job leading when women were given very few coaching opportunities in the college ranks," McKeever said. Through her experiences, McKeever said she knows that coaching is challenging regardless of gender, but it sends a derogatory message to both young men and women when they don't see women in coaching or leadership roles. "We can talk about it all we want, but until we start seeing more women in leadership roles and on the decks at meets, that perception isn't going to change," she said. "Women need an equal number of seats at the table, and that starts in the coaching ranks." Nonetheless, she said she always strives to be a strong role model for young athletes and aspiring coaches whether they are male or female. She feels passion every time she works with young women on the deck at Cal, knowing that her classroom is the pool and she plays a role in helping them discover their best as swimmers, students and people. "I always want to help young women be the best version of themselves that they can be; that's what I've always tried to do with myself," McKeever said. "I don't want them to set limits on who they can be and what they can achieve. "I'm incredibly proud and honored to have had the opportunity to lead the U.S. team, but I hope one day my being a woman coaching at the highest levels of the sport won't be a story. Women's swimming was introduced into the Olympics in 1912, and it was 100 years before a woman coached the team. That needs to continue happening, and I hope it's something I see in my lifetime." Last year, 13 Bears earned an invite to NCAAs on the swimming side, of which 9 remains on the team for this season. 8 Bears currently projected to safely make it into 2018 NCs - Thleen, Abbey, Billy, Katie, Nono, Madds, Sarah, Keeks. Would reckon that Ali, Chenoa, Robin, Val have really good chances of boarding the bus or rather plane to Columbus on 14 March as they are currently pretty close. Add Phoebe & Briana on the diving side, and that would be quite a decent squad. Curious if Sophie can qualify in the 100 Back. Sophie dropped a 52.56 in finals tonight, which is just below the 52.65 it took to make NCAA's last year! Val on the border a bit, Ali definitely getting an invite after that impressive sub minute swim, Maija probably getting an invite in the 200 breast based on how her 100 breast went. Chenoa likely to make it, though ranks around 30th in the country right now. Sophie also likely to make it with a 52.5, though she might be on the bubble. -Unfortunately, the only senior that is going to make NCAA's is Noemie. So close...may just miss the cut? Have based the above categories on the likely NCAA invite cutoff #, which has historical hovered between 38 to 41 for the women's events, i.e. #37 should get in. There may be additional shifts (bumps in the down direction) pending any last-chance time trials. Once the official invites have been sent, there will be several declines that would work in favour of those on the borderline - i.e. really cheering for Maija to deservedly be rewarded here before she officially becomes a "swammer"! Fantastic achievement for freshie Sophie if she qualifies, after hitting those big PBs @ conference! Sad that Val's looking to miss out in her last season as a Bear - #46 in the 100 Free (48.67 ...PB=48.66 @ 2016 UGA Invite), and #62 in the 50 Free (22.43 ... PB=22.17 @ 2017 NCAAs). Guess could always go as a "relay-only" (i.e. swim morning sessions to rest up a teammate with a tough schedule, or stand in as a finals relay backup if someone was to fall ill). However I believe Teri as a whole doesn't subscribe to bringing along a relay-only swimmer to NCAAs? At any rate, as we know, Keeks has always been rather versatile, with free & IM skills on top of her back talent but wow, her smashing sub-48 split on that 400 Free Relay B squad @ Pac-12 now means that we have a couple of fast backup legs for that particular relay (+ our Dutch frosh Robin, who had a really strong conference showing, with podium finishes in the 100 & 200 Free!). Diver selection will take place @ Flagstaff on 5-7 March, @ the NCAA Zone E Diving Championships.